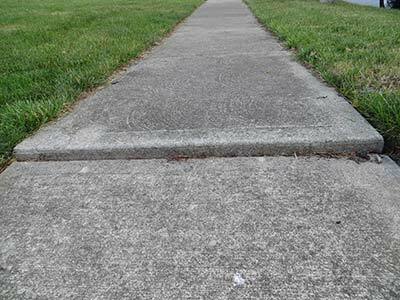 Edens Structural Solutions provides fast, permanent, and economical repairs to public walkways, driveways, and other high-use areas. 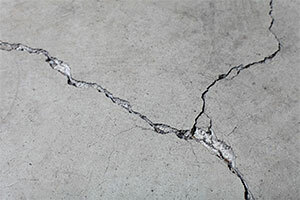 Trip hazards can be a significant risk when the concrete is not level. Edens quickly and safely removes trip hazards in high traffic areas in both public and municipal areas. We can also restore concrete or brick walls, drainage ditches, and retaining walls. Edens Structural Solutions specializes in the use of Structural Grade Polyurethane Foam. This material is injected beneath the structure through small holes (about the size of a penny). It then expands nearly 30 times its liquid size, filling voids and lifting the structure above it. This foam is impervious to water, never loses density, and weighs only 2 pounds per cubic foot. It provides a quick, safe, and permanent solution. Structural Grade Polyurethane Foam expands and cures in minutes. Most repairs are performed in less than 1 day, and the results are immediate. Your property is kept clean and virtually undisturbed.